Dr. Johnstone Kim is Board Certified by the American Board of Ophthalmology with further training in Vitreoretinal Surgery and Diseases. He currently works with Midwest Retina and treats patients at Ohio Eye Associates. Prior to joining Midwest Retina, Dr. Kim served as a full time faculty member at the Wayne State University School of Medicine and the Kresge Eye Institute in Detroit Michigan. Dr. Kim graduated from Tulane University School of Medicine with his medical degree. He proceeded to Emory University to successfully complete his Ophthalmology Residency. He followed this with a Vitreoretinal Surgery and Disease fellowship at Kresge Eye Institute. He served as an investigator in a number of clinical trials for the treatments of macular degeneration and other retinal disorders. His clinical interests include diabetic retinopathy, macular degeneration, retinal detachment, retinal vascular diseases and complications of cataract surgery. 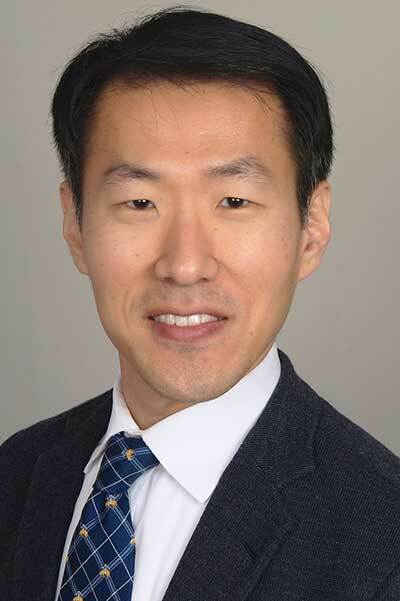 Dr. Kim is a member the American Academy of Ophthalmology, the Ohio Ophthalmology Society, American Society of Retinal Specialists, Ohio State Medical Association and the Columbus Medical Association.